-  macOS. Binaries for macOS are not yet available. Help would be appreciated. At present, it must be `built from source <#macos>`__. 1. Build and launch using the instructions above. 1. In ``data/predefined_classes.txt`` define the list of classes that will be used for your training. 2. Build and launch using the instructions above. 3. Right below "Save" button in toolbar, click "PascalVOC" button to switch to YOLO format. 4. You may use Open/OpenDIR to process single or multiple images. When finished with single image, click save. - Your label list shall not change in the middle of processing a list of images. When you save a image, classes.txt will also get updated, while previous annotations will not be updated. - You shouldn't use "default class" function when saving to YOLO format, it will not be referred. - When saving as YOLO format, "difficult" flag is discarded. 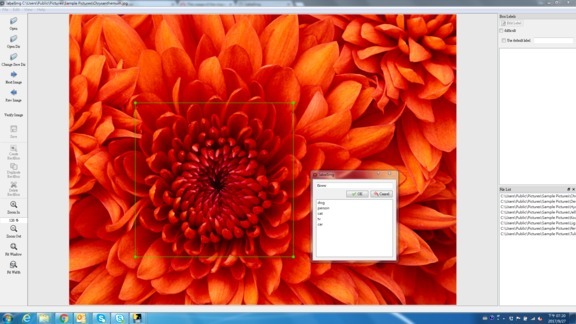 When pressing space, the user can flag the image as verified, a green background will appear. This is used when creating a dataset automatically, the user can then through all the pictures and flag them instead of annotate them. The difficult field being set to 1 indicates that the object has been annotated as "difficult", for example an object which is clearly visible but difficult to recognize without substantial use of context. 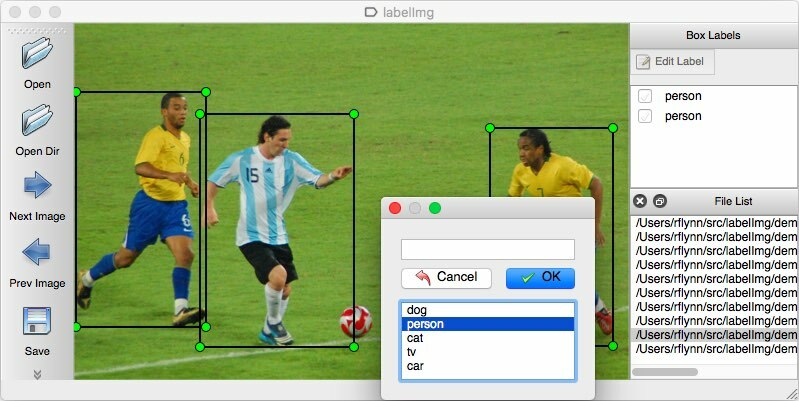 According to your deep neural network implementation, you can include or exclude difficult objects during training.